OK, just getting this out there: you know that Kihei Clark is playing 25 minutes whenever ‘the Hoos suit up. I’m not asking you to accept it, just acknowledge it. The numbers, we know, don’t justify the minutes. Same can be said for Jack Salt, but we’ve been saying that for four years, and look how far that’s gotten us. Clark is the Mini-Me Jack Salt. He’s listed at 5’9”, which, fine. I used to list myself at 6’1”, but when I signed up for an IM one-on-one tournament first year on Grounds, they measured me, and told me to play in the six-foot-and-under league. We all know why Clark is in the lineup: he’s a pest. Who could forget the one-man full-court press that forced a 10-second violation against VCU back in December? Not Tony Bennett. Coach practically jumped out of his shoes celebrating that one, and Coach isn’t known for celebrating birthdays. Clark earned his minutes the fair way: by pestering the crap out of Ty Jerome all summer and into the fall. The thinking being, if you can pester a guy we hope doesn’t leave early for the NBA draft to play point guard in the Association, then, you must be pretty good. Which, Kihei is. On the defensive end. Offense, meh: 33.9 percent shooting from the floor, 35.6 percent on twos, 32.4 percent on threes. But, Reddish is 6’8”. Clark … isn’t. You could post him up, or at least get a clean look. And … that’s the problem. As much a ball hawk as he is, he’s always giving up a few inches, at least, to the guy he’s checking. Which is why his defensive rating, per sports-reference.com, is the worst of the rotation guys, 95.2 points per 100 possessions. As much a pest as he is, if his guy gets the ball into shooting position, he’s going to get a look. So, why? Why does Clark get the minutes he gets? I figured it out after the second Louisville game, the second game this season in which Clark played 27 of a game’s first 28 minutes, then didn’t play any in the final 12. Clark’s job isn’t to be a bigger offensive weapon than a Cam Reddish, or a shutdown defender a la De’Andre Hunter. It’s to take the pressure off Ty Jerome and Kyle Guy for however long he’s out there, usually 25 to 30 minutes, then hand things over to the finishers. For the 25-30 minutes that Clark is on the floor, he usually draws the opposing team’s point guard, who, great, he might get some shots over Clark, might even get a post-up or two. But, guaranteed, that dude is going to work, just getting the ball up the floor, and trying to initiate. And he’s going to work harder, a lot harder, than he would if Jerome or Guy was guarding him. The game plan seems to be that Clark is not going to be on the floor when it gets to closing time. The Death Lineup, as my colleague, Zach Pereles, has noted, is Jerome-Guy-Hunter-Braxton Key-Mamadi Diakite, with Jay Huff as the sub for Diakite at the five. Their job is a bit easier because of the ground work laid in part by Clark, working the crap out of the opposing point guard for 25-30 minutes. It’s human nature: you have a pest in your face for 25-30 minutes, I don’t care who you are, what shape you’re in, Kihei Clark is going to wear you down. He’s not going to knock you out, but he doesn’t need to. 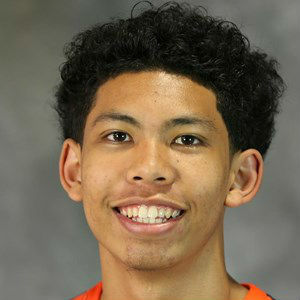 That’s why Kihei Clark gets the minutes he gets. It’s similar to why Jack Salt gets his minutes. Salt doesn’t score 18 every night, or really, any night, but that one. He wears down the opposing bigs. Clark wears down the point. And then, when it’s winning time, they’re on the sidelines, cheering the Death Lineup on. There’s a reason Virginia is the ESPN BPI favorite to win the NCAA title this year. There is a method to this madness.